Crystal Signs’ Trade Show signs service is committed to superior quality, quick production turn around and excellent service. We offer competitively priced Trade Show signs, Banner Stands, Digitaly Printed or vinyl cut lettered Banners, Posters, Display Boards, Exhibit Booths, Backlit signs, Signs, Canvas Portraits, Floor Graphics, Point Of Purchase, Signage, Presentation materials and more. Our large format printers produce high resolution (up to 1440 dpi) vibrant prints. We can print on a wide variety of media including Self Adhesive Vinyl, Banner Materials, Photo Paper, Films, Fine Art Paper, Artist Canvas and Fabrics. 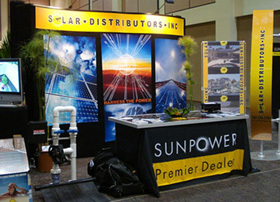 Trade Show signs or exhibition signs, are one of the best ways to promote your product or service to the public. 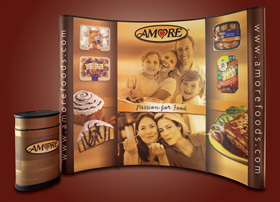 Convey your message with attractive, full colour trade show signs. From banners to fabric backdrops, we aim to provide the best solution for your Trade Show or Exhibition stand signs. 8′ Popup Displays, 10′ Popup Displays or 20′ Popup Displays? Table Top or Panel Display Systems? A full fabric Popup or a Stretch Fabric Display? Perhaps you need a Custom Display? Not quite sure what you need? No problem. We are here to help. Contact us today and we can help you decide on the best Trade Show signs for your business. 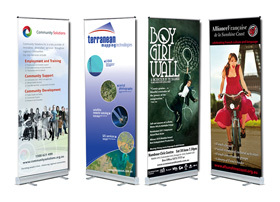 Portable Trade Show Signs or retractable banner stands, are very easy to deploy and very convenient to travel with. They can be set up in minutes by simply setting the base feet, attaching the support pole to the base, then unrolling the spring loaded banner up out of the base and clipping it to the top of the support pole. That’s it ! The banner conveniently retracts into the base where it is kept protected when not in use. 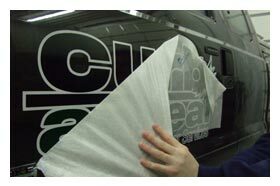 Our roll up banner signs are supplied with a carry case. 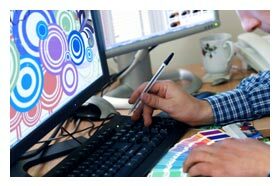 The actual banner material part can be replaced should the existing banner graphics need to be updated with a new product or service. 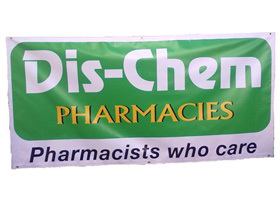 Our banners are guaranteed to increase awareness of your products or service! Indoor, outdoor, large or small, whatever you require, we can provide all types of banners to your specifications. Fabric banners or vinyl banners, we have everything you need to get your message out in a bold way. Full colour digitally printed or vinyl cut lettered banners, the choice is yours. Floor graphic signs are an exciting and novel way to communicate your message in high traffic areas and stop consumers in their tracks. Unlimited in their creative applications, we can custom make them to any shape or size. 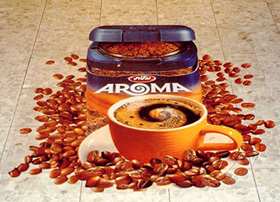 Full colour images are typically laminated with a non-slip, washable and scuff resistant material, that is very durable. They have an adhesive back and stick well to flat surfaces. Trade shows to attract people to your booth. Ideal to show direction to venue. Brand awareness in malls, outlets etc. 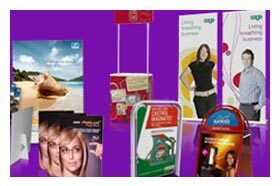 Boost Awareness of Your Product With Our Range of Trade Show Signs! Call us Today on 011.823.1822 or Click Here to request more info on Trade Show Signs and Banners.